A video posted by a bicyclist in Southern California has shown just how bad homelessness is getting California. 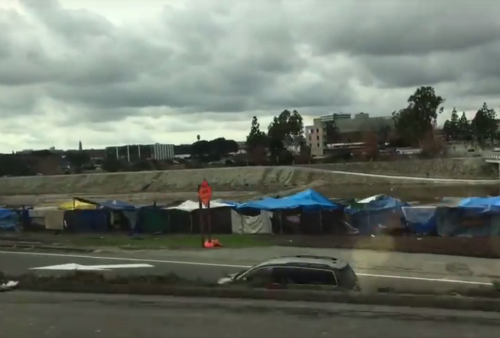 The video captured the extent of a rapidly growing tent city along the Santa Ana Trail in Anaheim. A different video posted in January actually suggests that the sprawling encampment stretches for miles along Route 57. According to an Infowars article, homeless activists estimate that the tent city could have as many as 1,000 people. The locals are growing increasingly worried about the situation as trash and human waste accumulate, and assaults and robberies grow more common along the trail. And all of this is occurring in the same city that houses Disneyland. Clearly the economy is in great shape and California is perfectly stable, right?